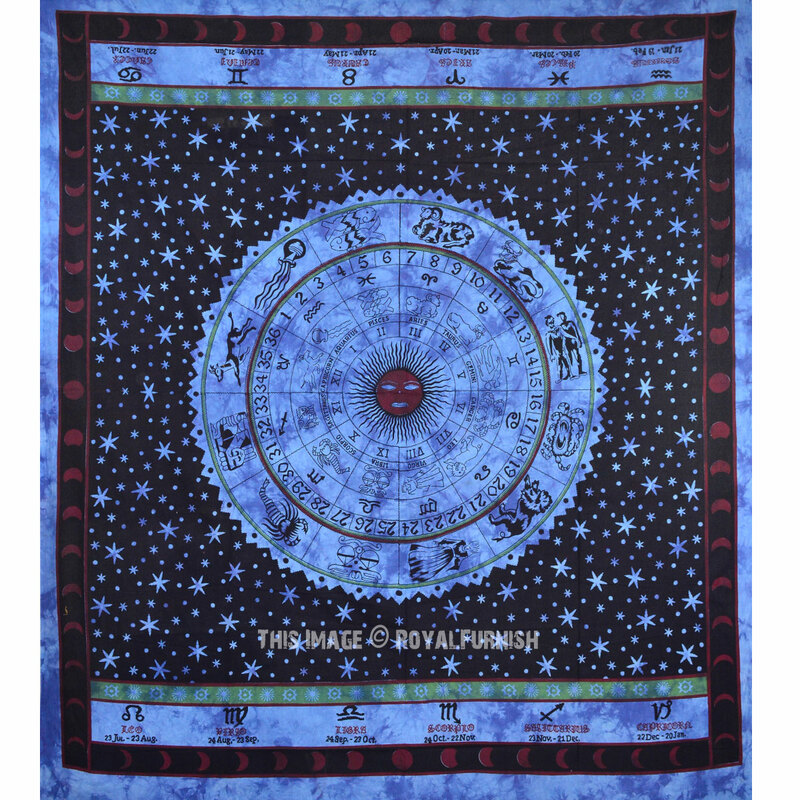 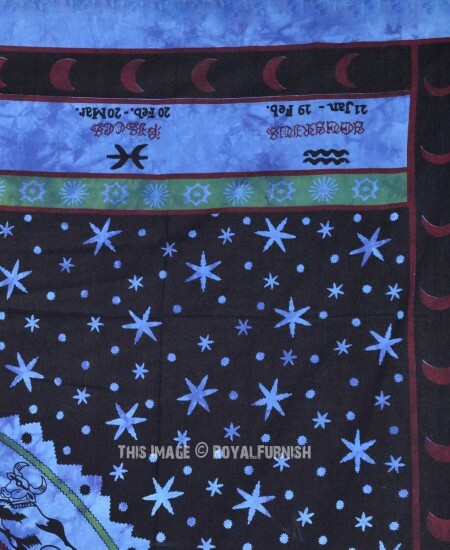 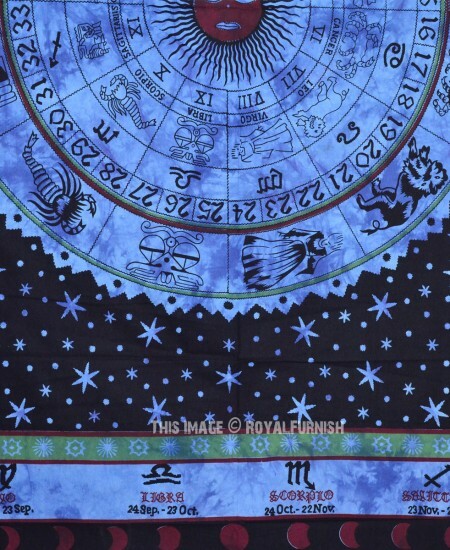 We've reached with distinctive, very reasonably priced assortment of attractive Indian famous zodiac horoscope print light weighted cotton tapestry wall hanging which fits with any kind of budget, each beautifully constructed from 100% fine cotton in India. 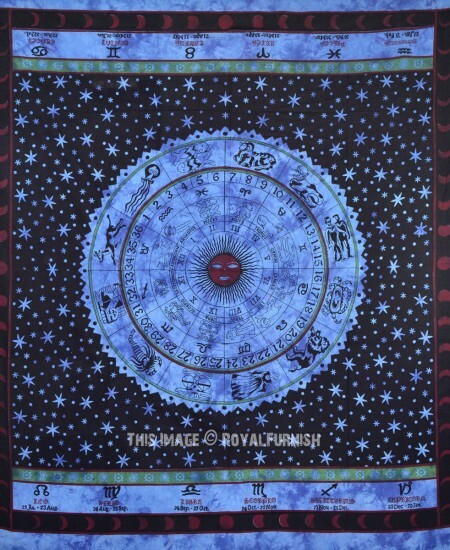 The tapestry is finished with bordered edges. 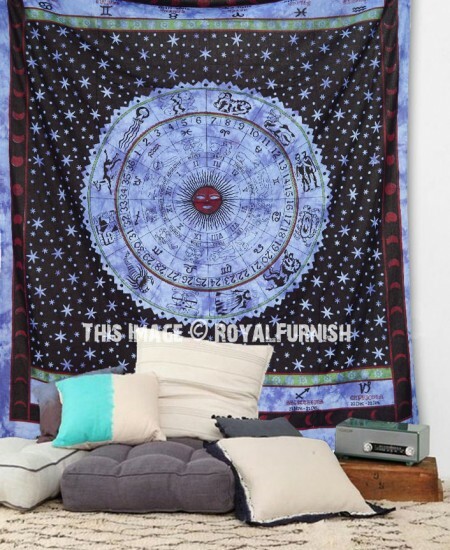 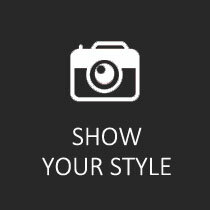 At a fist glance it delivers bohemian & hippie look which adorns any room be it dorm or living room/bedroom. 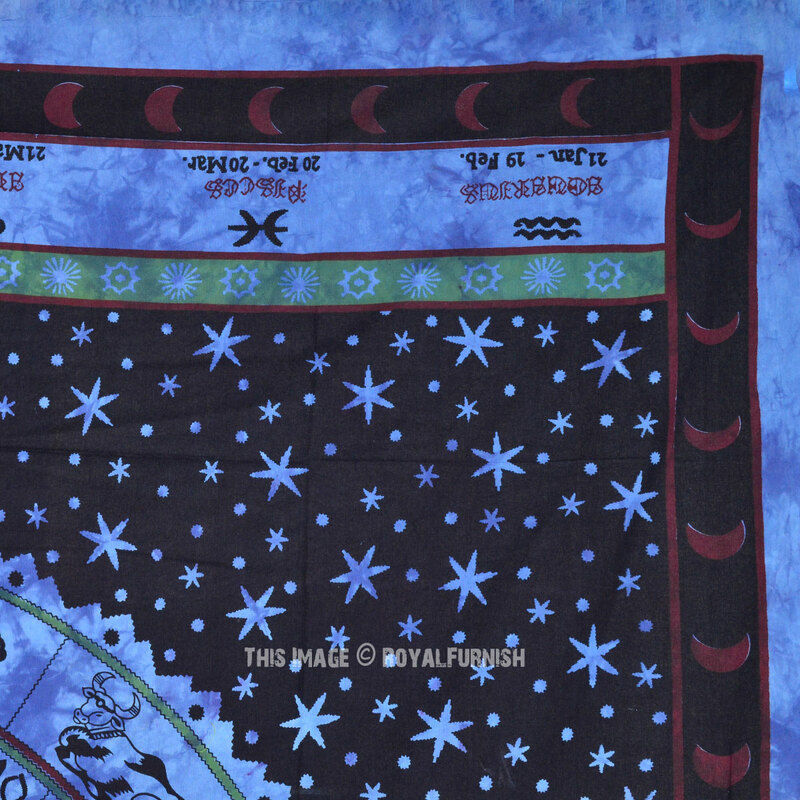 It also contains one additional element so can be used in form of bedding,bedspread as well. 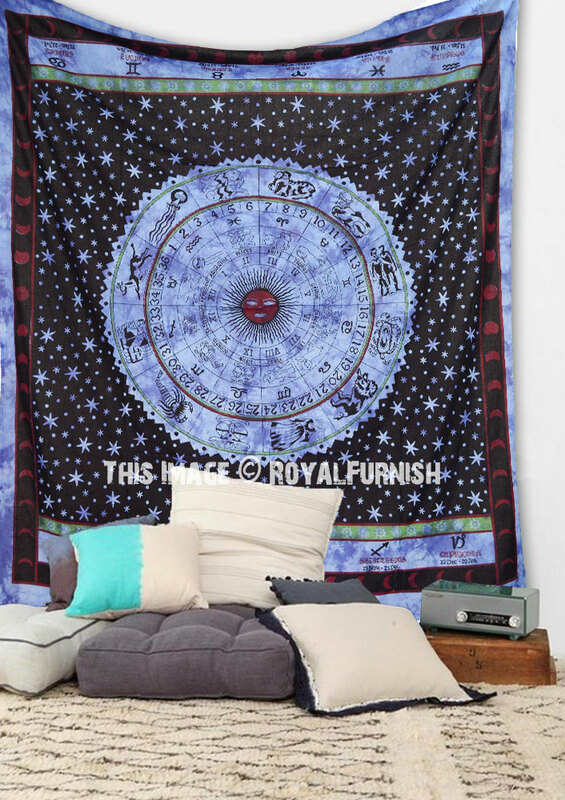 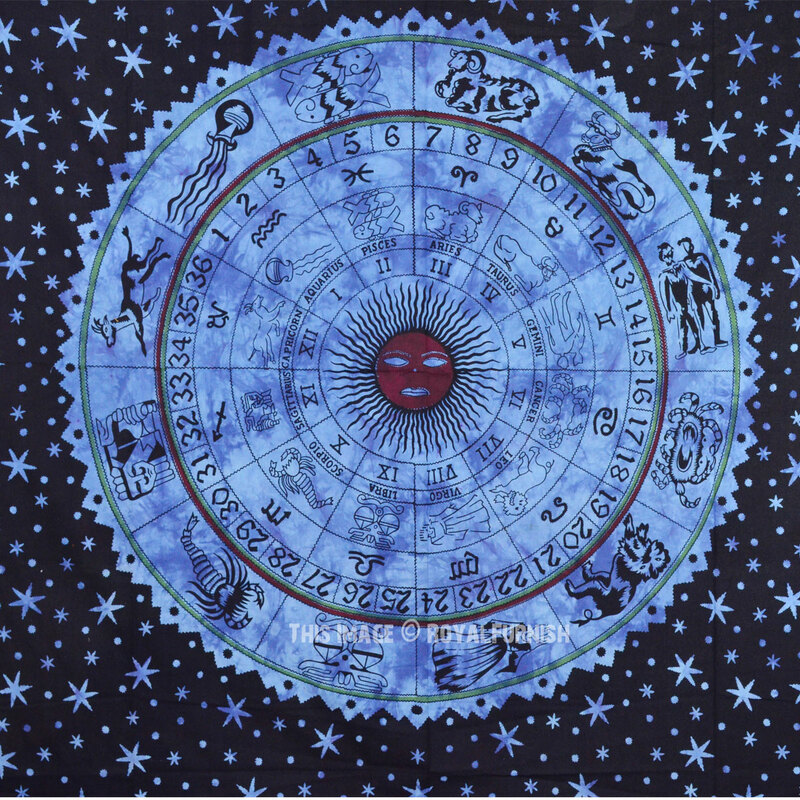 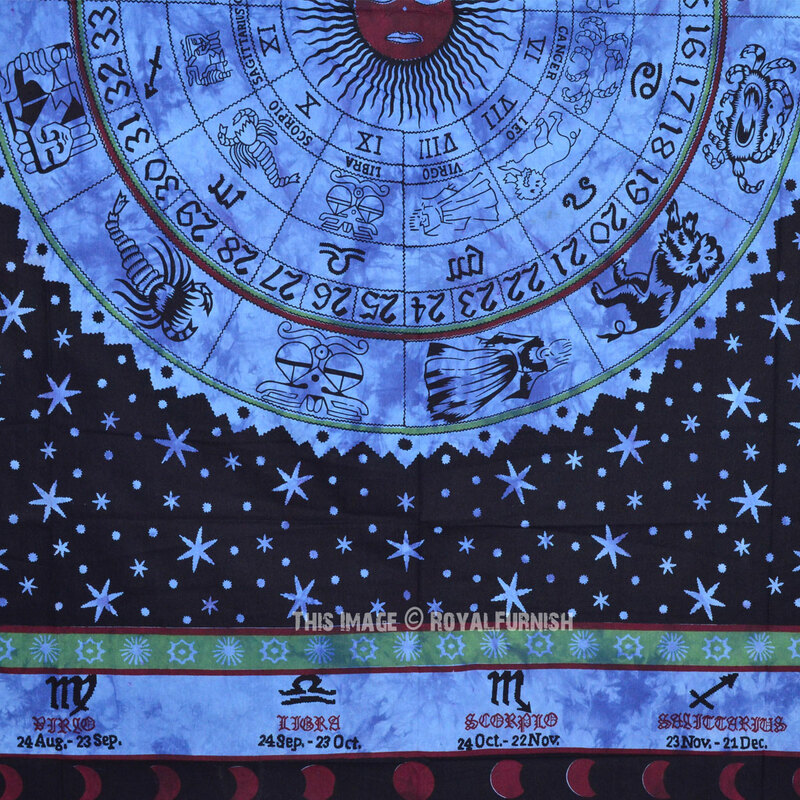 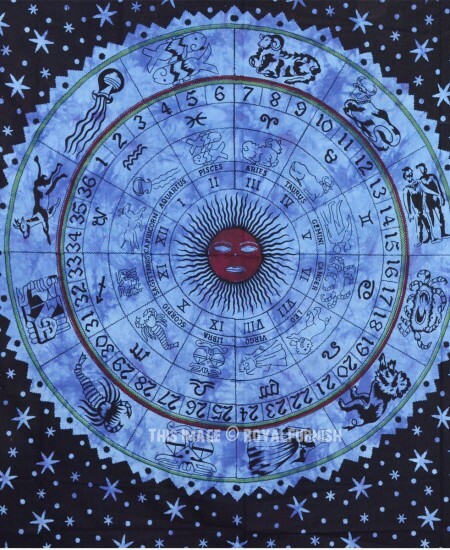 Blue Astrology Zodiac Horoscope Tie Dye Tapestry Wall Hanging added to the cart!